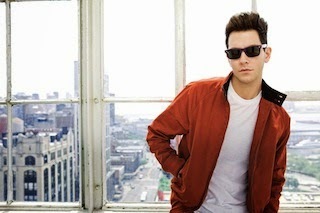 Cobra Starship have announced they have parted ways with bassist Alex Suarez and guitarist Ryland Blackinton. A message from the band as well as Ryland and Alex can be found below. It is with heavy hearts that today we announce the departure of Ryland & Alex from Cobra Starship. Below you will find a letter from them explaining their reasons. Although we were bummed when they first told us, Nate, Victoria and I love Cobras too much to not move forward. Not only because of what this band means to us, but also because of what Cobras stands for: To never give up, to never say die. And though Alex & Ryland will no longer be a part of the band, they will always be a part of the crew and will always be like family to us, and hopefully to you. We are excited that later this week we get to introduce you to our new bass player. We know you will like him as much as we do! Here’s your hint as to who he is: he was in a band that toured with Cobras. Take your best guess—the polls are now open! We are also excited that tomorrow we will finally be premiering the video for “Never Been In Love.” The video takes place mostly in Sweden with Icona Pop, but it features one last cameo with Ryland and Alex. We are grateful to have had all these years with them and we will always support them, and hope you will too. Hey guys - first off, we’re extremely thankful for the love and support you have shown us since we first joined Cobra Starship. We’ve had an opportunity to get to know a lot of you over the years and can’t thank you enough for sharing some of the fondest moments of our lives as musicians. We truly mean it when we say we have the best fans. Cobras has taken us all around the world. To places we surely wouldn’t have seen, smells we wouldn’t have smelled and flavors we wouldn’t have savored - all possible because of you guys. Gabe, Nate and Victoria have become family over the last 8 years and we couldn’t have asked for a better group of people to share this unique and enriching experience with. We’re excited to start a new chapter in our lives in production and songwriting. Who knows? Maybe we’ll finally even fulfill our dream of competing in American Ninja Warrior. Or maybe we’ll open “Much Ado About Muffin,” our Shakespeare- themed bakery. The world is our oyster! We hope to have your support in our future endeavors. We’re thankful to have the support of the rest of the Cobras in this decision and we’ll always be a part of the Crew. We’re stoked to see you guys supporting “Never Been in Love” and we can’t wait to hear the rest of the album Gabe and the band are working on. We’re so grateful for the opportunity you’ve given us. Meeting so many of you has been a life changing experience. When the two if us met in high school, all we wanted to do is play music. Thank you for making that possible.